Borgo Propizio sky is a lapis lazuli mosaic and life goes on scene under it. But life, you know, is made of both beautiful and awful things. A bad day a violent earthquake destroys a large part of the historical centre, throwing into desperation people who so much love their village. Mayor Felice Rondinella feels disaster like his own personal failure, and Father Tobia is too tired to bring the weight of the holy cross. Because not only the earthquake: in Borgo sins became uncontrollable and confessions are pure scandal. Everything is upside down. The only certainty is that professor Tranquillo Conforti, laying on the ground in Viottola Scura, did not have a heart attack while he was running away, frightened aftershock, but he was killed. Signs of strangulation do not leave doubts. 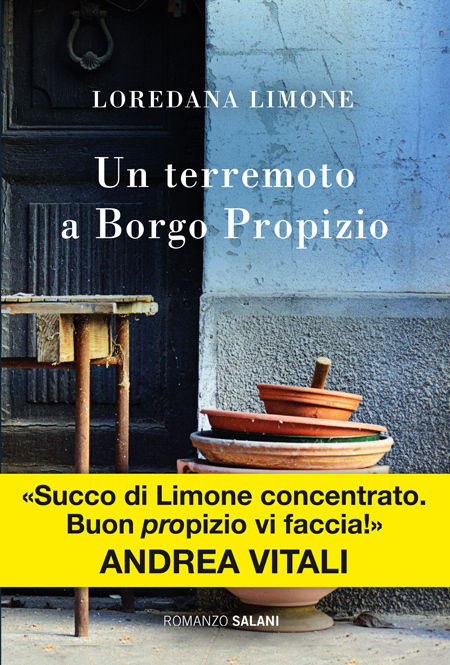 Borgo Propizio reveals itself in this third chapter of the story like never before. But its greatness, the intensity of its light, exist just thanks to the greatness and the intensity of its shadow. It’s from there that it will restart again. All together, as always.